By	Simon Toseland. Last edited by Marios Alexandrou. 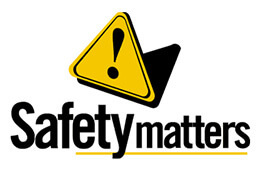 The term ‘safety culture' was first introduced by the International Atomic Energy Agency (IAEA) as a result of its analysis into the nuclear reactor accident at Chernobyl in 1986. There are a variety of definitions of safety culture but the common strand is having a system of shared values and beliefs about the importance of health and safety in the workplace. It is the emphasis that an organization's Directors or Senior Managers place on health and safety which will determine whether safety culture within the business is vibrant and effective. Individuals within an organisation might express their desired health and safety standards explicitly, but if the actions of their senior personnel do not match their words, i.e. if they do not ‘walk the talk', other employers and stakeholders may follow the examples set and ignore what has been prescribed within a written safety policy or safe working procedures. In 1998, a study of safety in the UK manufacturing industry discovered that employee's outlook and commitment on safety issues was influenced by their perception of how seriously management addressed safety values. For example if near–miss incidents go unreported employees may fairly assume that management is not following up on its supposed strong stance on safety. The research also suggested that the actual quality of near-miss reporting is also important. Where an inquiry does take place, employees may well be unimpressed if management simply apportions blame rather than considers steps to prevent a recurrence. A further study of influencing factors of safety on construction sites also found that ‘top' management's attitude towards safety was a significant factor in the safety performance of the project. Health and safety culture can be identified, measured and improved but, if neglected, can deteriorate. The safety practitioner must be able to look at an organisation and put his finger on the pulse of the safety culture within it. The same can be said of an enforcing authority inspector who is carrying out an accident investigation. They would not be so interested in the immediate cause of an accident, but their aim would be to establish the underlying cause of the accident before considering his next steps. Take for example a scenario where a person becomes injured following a fall from a ladder. The inspector would be asking whether the injured party had been trained, had the ladder been inspected, was there a ‘working at height‘ policy and risk assessment and had they been effectively communicated. They would also seek to establish whether the individual had been working long hours (was he fatigued) and if there was an adequate level of supervision? Shortcomings with and of these factors may have contributed to the incident. Very rarely is an accident caused by a just a single failure, it is normally due to multiple deficiencies, in summary, a poor or negative safety culture. There are various ways in which safety culture can be measured and possibly the strongest and most immediate is through visual indicators. For a site or a building that has a positive safety culture, you will notice things such as good housekeeping, the presence of safety signage, safety notice boards and you may even receive a safety induction or tour. While a sense of the prevailing culture can be gauged from first impressions, a more accurate assessment can be made by evaluating attitudes and values. I recently undertook a safety culture assessment of a construction firm which is based primarily in the South of England. They have approximately 15 active projects operating at any one time. The assessment included an attitude survey which involved asking a set of standard questions to personnel at all levels in the business — starting from the top downwards. Respondents were asked to what extent they agreed, or disagreed, with a statement about the prevailing safety culture using a 5 point scale. High scores represented agreement and low scores disagreement. The results revealed underlying anxieties and problems which would be difficult to identify by any other means. The outcome resulted in the company being able to set a strategy to improve its safety culture with a key emphasis for management to become more visible. The assessment was seen as a valuable tool in positive monitoring and a follow up program was initiated some 18 months later. The results presented a clear indication that trends and attitudes towards safety had changed and could be improved. Workplace Law Health and Safety specializes in health and safety management and compliance. An established training provider, licensed by IOSH and NEBOSH, we provide advice and support on health and safety strategy and systems, including CDM and OHSAS 18001 compliance. Great article! The use of empirical data in informing management on health and safety choices will continue to grow in the future. It would be helpful if you could share your methodology in choosing your question set?